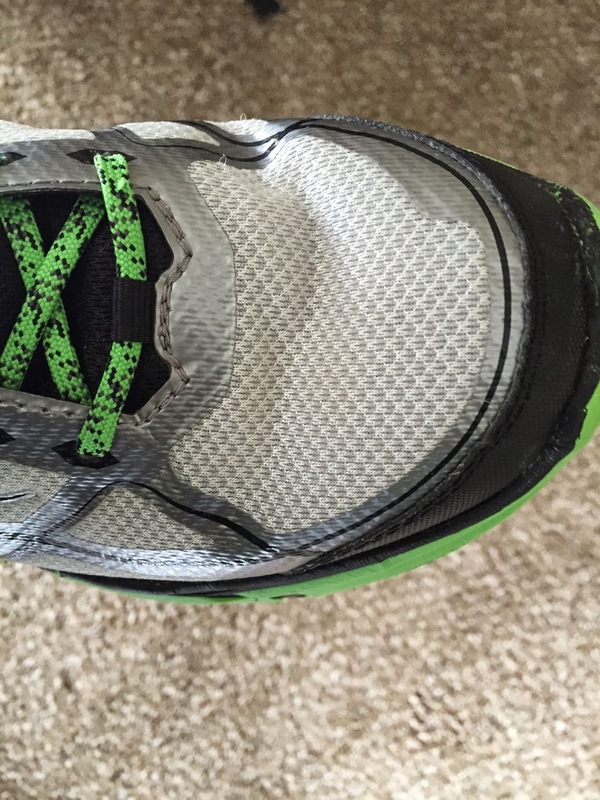 Road Trail Run: Review Hoka One One Challenger ATR: What a Union! Super Light Meets Burly. 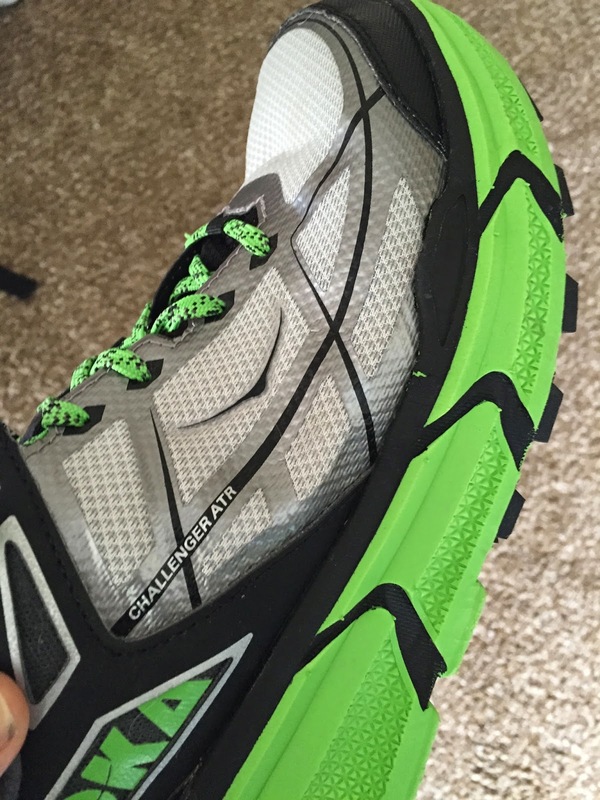 Review Hoka One One Challenger ATR: What a Union! Super Light Meets Burly. Not one to rest on its laurels after the launch of the Clifton a super light road runner with plenty of Hoka maxi cushion and the Huaka a versatile road trail hybrid (compared here) , Hoka launches the Challenger ATR a burly lugged 8.6 oz, 24mm forefoot/ 29 mm heel, $130 trail shoe. I now have over 150 miles of dirt, snow, and road on mine. They were a personal purchase at retail. 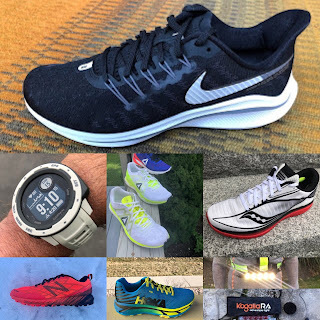 Challenger was my " 2014 Trail Shoe of the Year". Because of the similar midsole appearance, some including me, called this a Clifton for the trail yet this is no softy, the ride is firmer and stiffer than Clifton and even Huaka, particularly in the heel, yet by no means harsh or jarring, so still a Hoka. A truly outstanding protective and versatile trail shoe at an incredibly light weight. Unlike many Hokas, due to the firm lugged outsole, this is much more a dedicated trail shoe than other Hokas such as Huaka and Stinson, which for me are road trail hybrids. 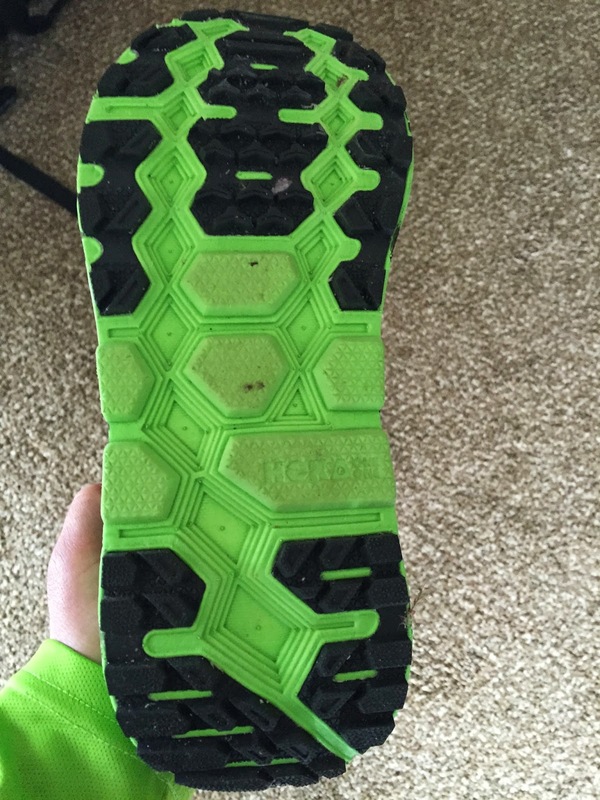 The very firm outsole lugs in the heel and forefoot provide a firm stable ride with plenty of grip; and likely, unlike many Hokas where the rubber hits the road and trail, likely many more miles of durable outsole and grip. They are truly outstanding on snow, if not particularly warm. The upper and fit is very much like the Clifton, with a somewhat denser mesh, more overlays, a decent toe bumper, and a bit higher EVA sidewalls in the forefoot. Challenger ATR fits me true to size. Will have to see how durable it is over time. 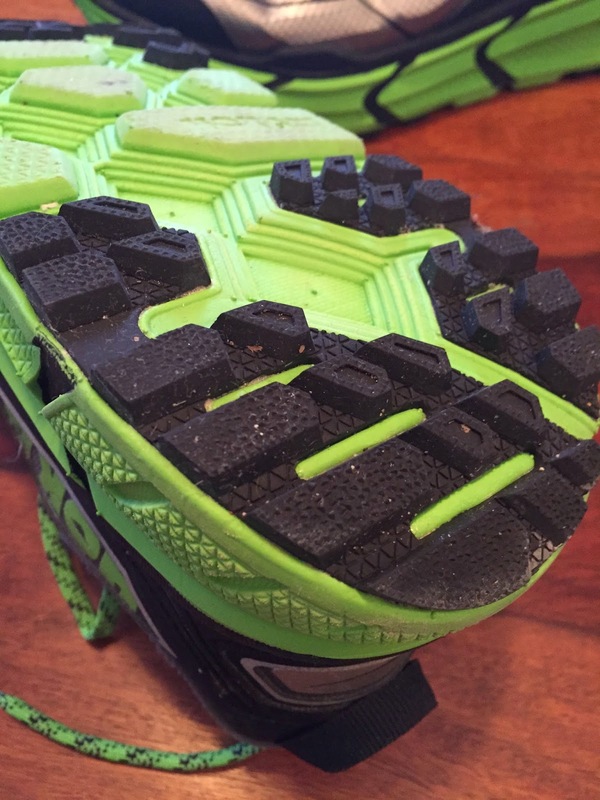 The outsole is thick hard carbon rubber, almost as firm and thick as the Saucony ISO Triumph (review). It is separated enough to provide some trail feel and to keep the shoe from being too stiff but this is by no means a super flexible shoe. It is protective and light. The lugs should be very long wearing if they are not sheared off by very sharp rocks. I especially appreciate the stability the heel outsole provides and the grip of the forefoot outsole lugs. The midsole is the same EVA as the Clifton. It may be a bit firmer. When combined with the firm outsole I have none of the somewhat unstable deep sinking atthe heel I experience in the Clifton at slow speeds. On the other hand, on the road the toe off is stiffer not as smooth as Clifton or Huaka and one can feel that there are lugs upfront, on the road. But that is on the road and this is a trail shoe. On the trail and in soft snow the Challenger is sure footed, stable with plenty of grip. The Challenger ATR fit me true to size and very similarly to the Clifton. The upper is a somewhat denser mesh with more overlays. There is a decent toe bumper. The lace hole supports by the toe and overlays forward of that are soft and thin so despite the relative stiffness of the shoe the upper won't be binding on the foot on toe off. The fit is quite narrow up front and a bit too wide for my taste at the heel, although I wouldn't change my true to size choice, expect maybe go down half a size. I have now run 43 miles in the Challenger ATR mostly on hard packed snow and dusting of snow over dirt and rocks, I have also run 7 or so mile on the road and on an indoor track. Challenger is for sure a trail shoe. It can be run on the road but Huaka with its smoother ride and minimal lugs may be a better choice as a hybrid, despite its far faster wearing outsole. and then Saturday 10 miles on the snow and no worse for the wear, shoe or me. The grip is outstanding on all trail terrain so far. The light weight is noticeable, for not being there. Despite the weight and the light upper, stability on rough terrain has been great and I am a very timid downhill runner. Confidence inspiring is what I look for in a trail shoe and Challenger delivers and without a weight penalty. Update 1/20/15: at 105 miles of mostly snow running not surprisingly the Challenger is showing no outsole wear. The thin laminated overlays have not delaminated at all, a big improvement over the Huaka and Clifton where many saw early delamitnation particularly in the toe area. For all intents and purposes the shoe looks brand new. The Challenger continues to be a delight to run in. The Challenger ATR proves Hoka One One is not resting on its laurels. From the first maximalist shoes they have now evolved to incredibly light, super cushioned shoes. The Challenger ATR at 8.6 oz is a trail shoe with a substantial, well lugged outsole sitting on a stable well cushioned platform. It is a versatile all terrain, all conditions trail shoe that inspires confidence and won't weigh you down or pound your legs, 'cause after all it is a Hoka. Both men's and women's winners of the North Face Endurance Challenge wore them to victory on a muddy day so they are already making a mark. My 2014 trail shoe of the year. You can support my blog by purchasing your Challenger ATR at Running Warehouse here. this is Paul from Berlin (on Strava). Thx for the detailed review. I'm currently looking to step up the game both in distance and shoewise and am now looking at the Hoka line-up for my first 100-miler. I am wondering how the Challenger ATR compares in terms of fit, flexibility and durability to the Stinson ATR which Trailplodder highly recommends. I have been training in the Skechers GoRun Ultra and have run the second half of a 50 miler in them in 2014. The 100 miler is on the same terrain, about 50/50% trail and forrest roads. 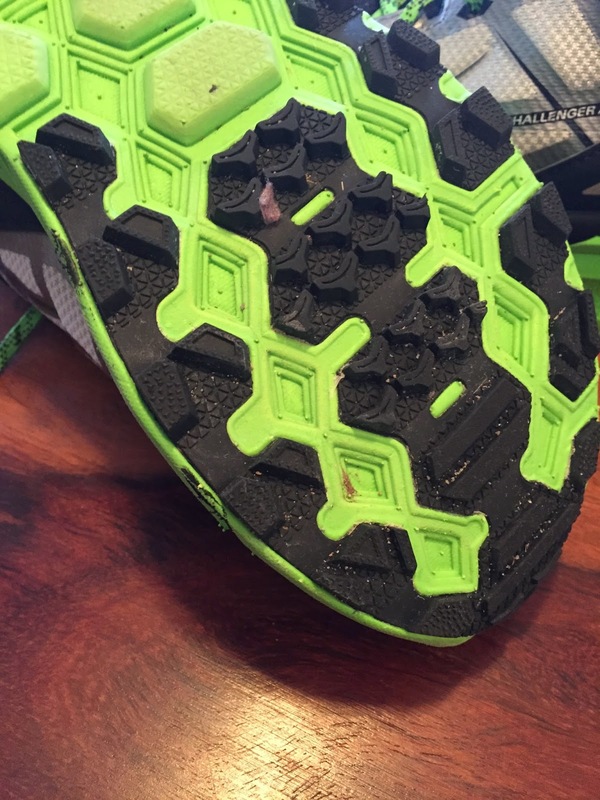 I have kind of a love and hate relationship with the Skechers due to what John Savage (fellrnr.com) called a "medial post" which on some runs is more noticable than on others. After about 500 mi they now seem to have a "custom fit" which shows my personal wear pattern (from supination). Anyway, thx for a brief feedback! Hi Paul, love to see your Strava runs from Berlin. Here too in NH USA and in Dec and Jan UT USA it has been cold, We have almost 2 meters of snow on the ground at the seashore in NH. To get at your questions about Challenger vs Ultra. I am very familiar with both. For me the GORim Ultra is not enough shoe for rougher trails, too soft and flexible for my taste. more an easy road recovery run shoe for me. Skechers is working on it... I am a wear tester and new versions will be truly incredible but have no idea when they will launch. Ultra is bit lighter for sure at 240 grams in my US 8.5 vs Challenger still light at 258. 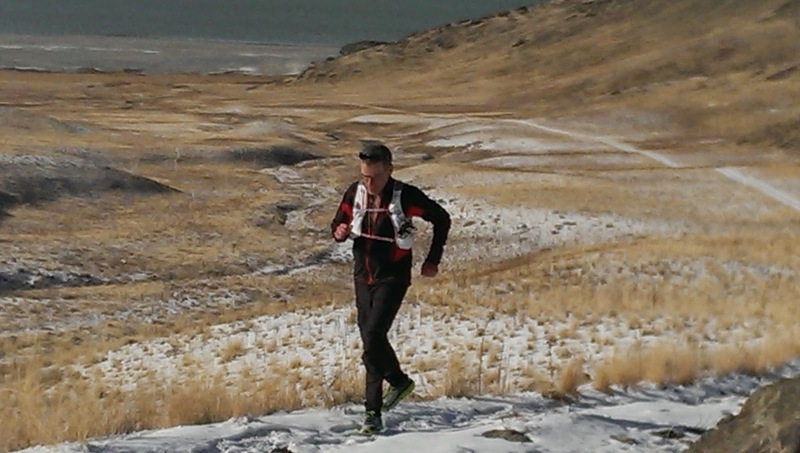 Despite the snow I did run the Challenger on smoother trails in Utah in December including up to 30K and they were spectacular. Firmer than Clifton for sure more flexible than Stinson but not as flexible as Go Run Ultra. More durable in terms of outsole than Ultra as Challenge has very decent hard rubber in all the right places. Challenger upper I prefer to GRU 1. Soft and supportive enough for my narrower feet. No rubbing on the top of big toe bunion as GRU 1, this issue mostly solved in GRU 2 for me, a shoe I wear tested. Overall Challenger is a spectacular shoe for moderate trails given its cushioning and light weight. Hope this helps and thanks for reading my blog. A bit of a research question. Where do you shop for newer innovative shoes from Germany? Another shoe to consider launching this summer Salomon S-Lab Wings. A bit heavier than Challenger. Also a new adidas the Raven Boost launching this summer. Heavy but I think will be spectacular for long distances on any terrain including road and rough technical. Review soon when I get on some dirt! Far better running than the new Ultra Boost with its very soft forefoot but if you like soft as GRU you might like, heavy though due to Primeknit. I usually order shoes online both from German and international retailers as the local shoe stores only have the mainstream line-up of the major brands but no Hokas, Skechers, La Sportiva or other niche brands. If I convert to Hoka I may order from them directly. 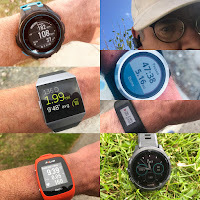 I am looking forward to the next iteration of the GRU and hope they work out the forefoot fit which I found to be way too loose – there's just too much lateral movement which doesn't provide enough stability on technical descents. The S-Lab Wings you mentioned has definitely too much drop for my feet, Adidas and NB shoes usually don't provide enough room in the toebox for my slightly bent up large toenails. just to follow up: Neither the Stinson ATR nor the Challenger ATR fit my feet. I got the Altra Olympus 1.5 instead and couldn't be happier! Zero drop and foot shaped toe box fit my feet perfectly. I've had zero issues going zero drop even on the long runs. In fact for the first time it feels like my shoes are not in the way when running. Just 3 weeks later I bought the Torin for the road and it's just as nice! I absolutely love these. Keeping me sated while I wait for the Clifton 2s. While I'm not wild for loose on the road, I love that Skechers like feel on the trail. Just enough but not too much grip/lugs. And the flimsy tongue works well to keep out stuff, whereas on the Clifton I found it more annoying and stupid. I used to run in the Huakas, which were perfect for me (I run on pavements). The Huakas are no longer available where I live, and I wonder what you think about running in the Challenger ATR on pavement. I have run some but not much pavement in Challenger. A touch firmer and stiffer than Huaka with more stack due to the midsole and the harder rubber lugged outsole. Not quite as smooth running but good. You might also try the Clifton 2. It now has firmer outsole rubber and a new more supportive upper. I found the Clifton 1 too soft in the heel for me due to soft outsole and sloppy upper. Much of this corrected and a fine shoe if not quite as lively and snappy as the Huaka. The firmer rubber outsole will also give better wear than Huaka. i'm a bit late, but great review! how would you compare the fit (including length) of the huaka and/or the clifton to the challenger? i've never really found hokas to be shaped like my foot, or to be capable of being snugly shaped to the contours of the foot. do you find these any different? (regular laces, right?) also, how bad is the heel slippage? otherwise, they sound pretty terrific. It's my understanding the Challenger ATR and Clifton are built on the same last. The Challenger ATR 1 has a less firm toe bumper than the Clifton 2 or Huaka. The Huaka has a different upper design, I call it a burrito as it wraps up from the side and has a firmer upper material as well as toe bumper than Challenger. Huaka is more of a "race" shoe has a snugger fit. It is an incredibly versatile road trail hybrid as long as the trails aren't slick mud or snow and such. Challenger with real lugs has a more substantial outsole. A bit more heel slippage for me in Challenger mainly I think as the upper and overlays is overall a softer more pliable material than Huaka or Clifton 2 and as said above the toe bumper being less substantial. As with all Hokas I cut the quick lace off the Huaka and am much happier! Hope this helps. Thanks for reading! thanks sam. i got a pair and had my first run today. i have limited hoka experience, but they seemed to work better for me than rapa nui 2 and fit much better than huaka (both of which i tried briefly). they felt more natural to me than i expected, quite smooth, but even though they did not feel mushy and were fairly responsive, they seemed exhausting right from the beginning of my run and i couldn't shake that feeling. granted, i'm used to firmer shoes, especially adizero (mainly adiprene), but this was strange. i wonder if anyone out there had this experience and, of course, whether they got over it after a while. on the other hand, my legs did indeed feel fresher afterward, so i wish i actually could enjoy them while i'm running; so far, not a great trade-off. any thoughts from anyone? Hi Bruce, First what have you been running in lately and what kind of trails? When I go back to Hoka's I always find there is an adjustment to the rocker and the relative stiffness which takes some breakin for the thick midsole. I found them considerably firmer than say Clifton, too soft for me, somewhat stiffer and firmer than Rapa Nui and Huaka. I thought I would like them on the road too but found they are best on trails. i tried them on an easy dirt trail. my recent trail shoes have been mostly fluidflex and pearl izumi (prefer the fluidflex, all versions, obviously a drastically more flexible shoe). did you ever have that tiring feeling i mentioned? as i said, they seemed to run pretty smoothly, but maybe it is the stiffness. do you tend to stick with hokas for a while rather than finding it easy to switch back and forth with 'regular' shoes? Bruce, big difference to FluidFlex and depending on model quite a difference to PI. I do find it hard to adjust back to Hokas. Usually takes me a few weeks of at least semi regular running in them, more so on the road than for trails as there is very little sensation of what is under foot and you need to "roll along". For trails a different issue for uphills as they are stiff different muscles need to be engaged. More knee lift I think.